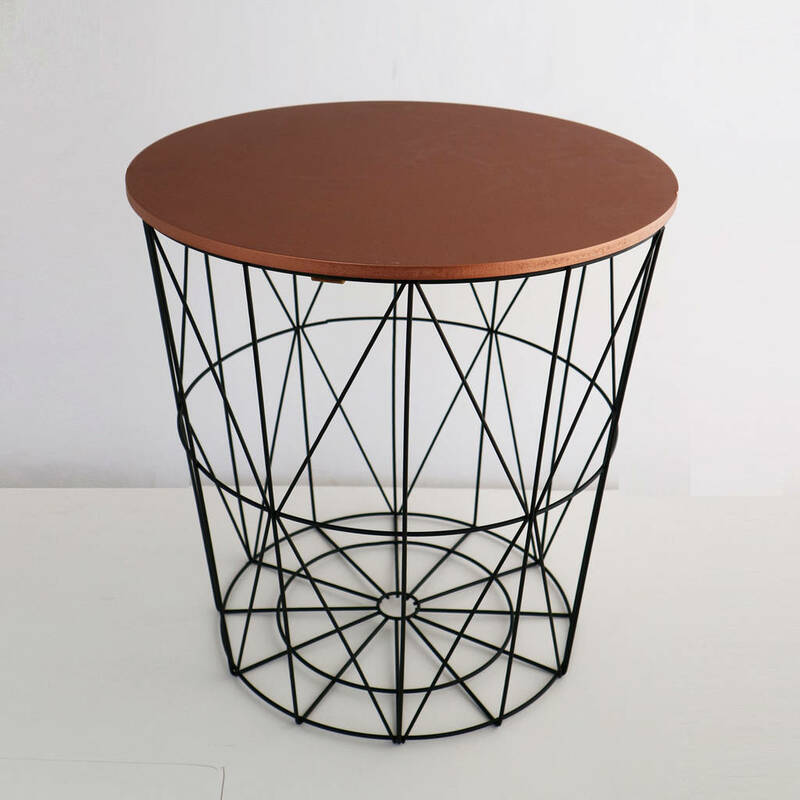 A contemporary black metal wire and copper coloured side table. 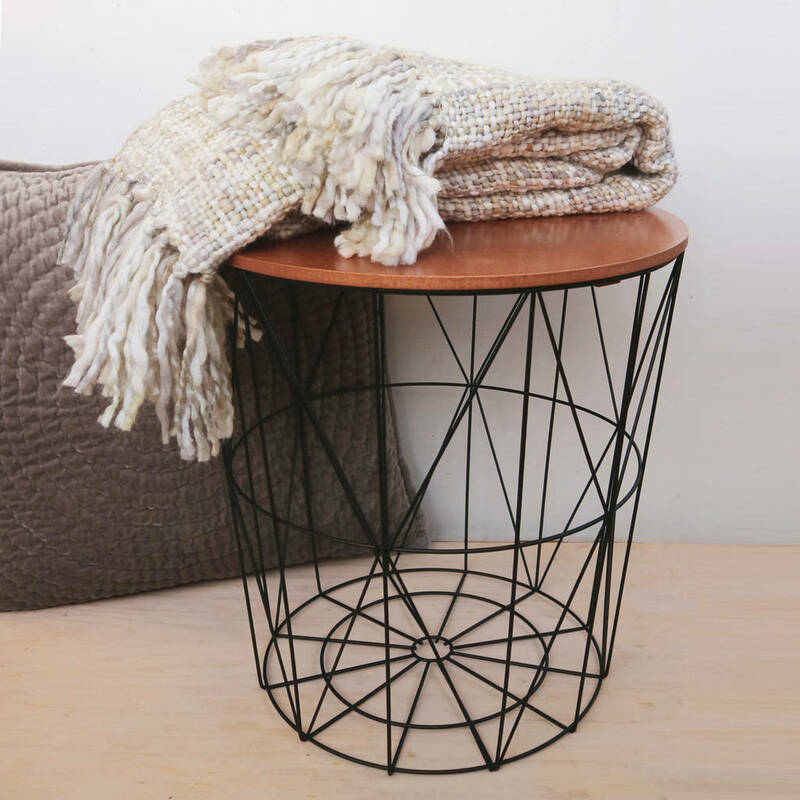 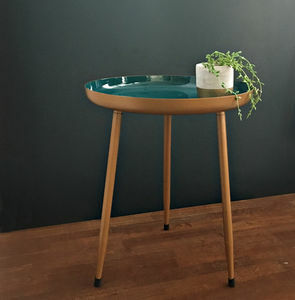 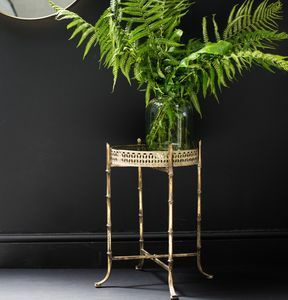 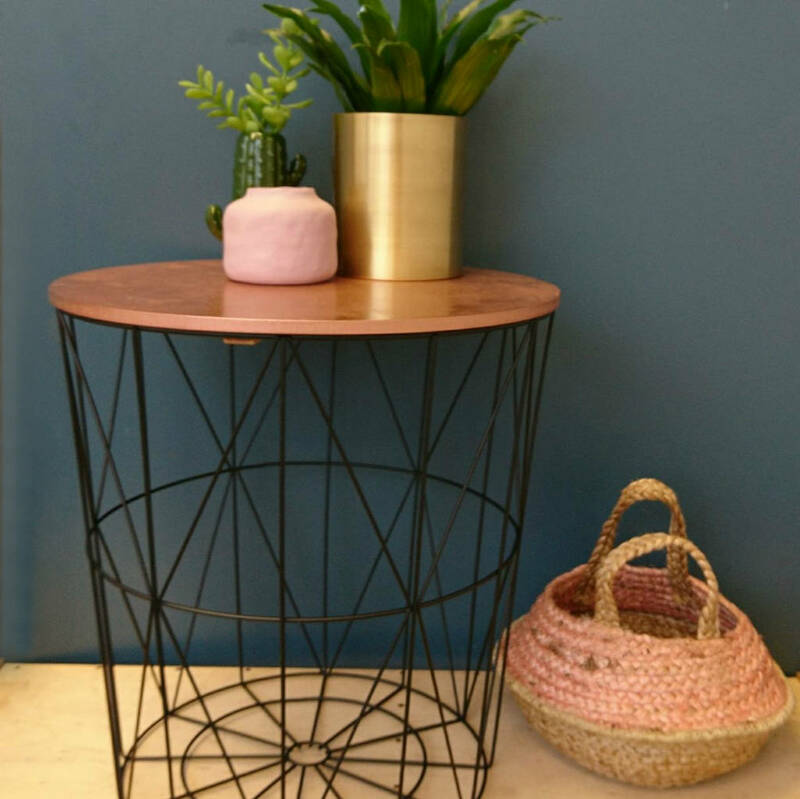 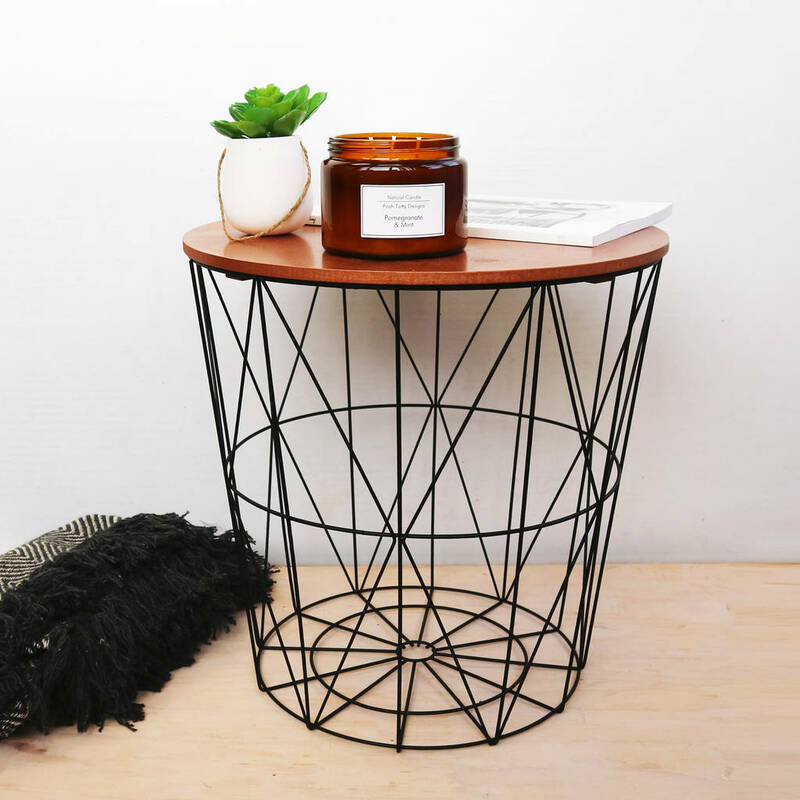 This side table has a black wire basket style body, complete with a wooden copper painted removable surface top. 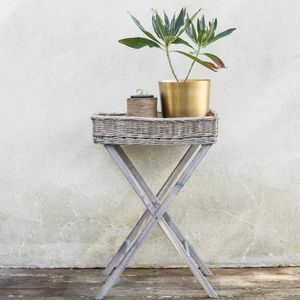 Keep it minimal and use as a side table for drinks or to display plant pots and photo frames, or use as an alternative storage solution and keep things inside. 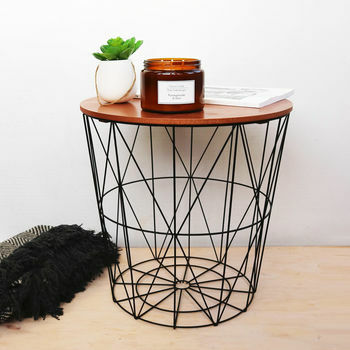 The industrial style of this side table makes this a real feature for your living space. 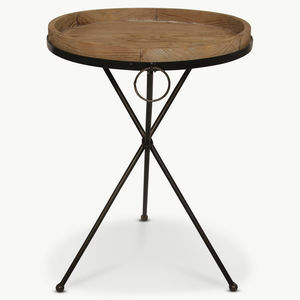 Stylish and practical, this is a great addition for a modern home.